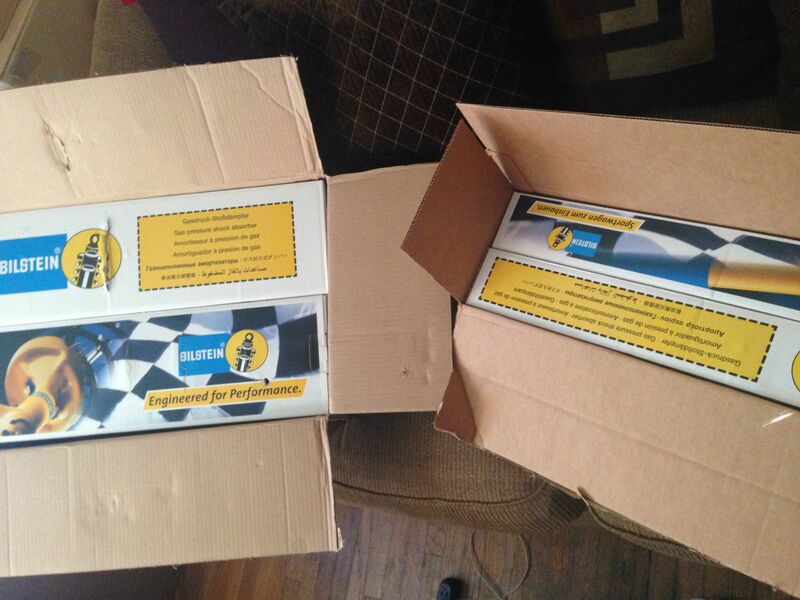 Review: Bilstein Revalve Service - TrackHQ.com, the Web's leading forum for track day enthusiasts, racers and time attack drivers. Before I say anything, I want to make this clear. This is a two part review, the first part being a review of the service itself, and the second part being the review of the shocks. I had my bilsteins revalved for my Swift Spec R springs. Before I went ahead and made the review I wanted to take the car to the track to see how it felt, that's why it took a bit of time to get this review up. Bilstein is pretty straight forward with what they want you to do in order to get your revalve service going as smooth as possible. First, you fill out a form (found here ), which will contain basic info such as name, address, car make/model and etc. Then, you package your shocks. If you don't remove springs, they'll charge you something like 15 bucks per shock for removal and reinstallation. Otherwise, it's easier to just remove the springs, as it will cost less to ship. 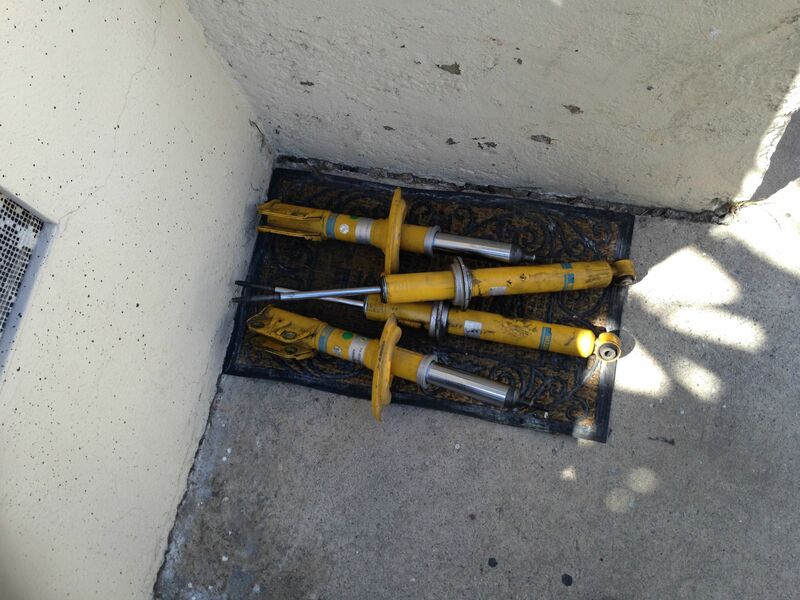 I'm in California, and it cost me 30 bucks to ship all four shocks to them through USPS. 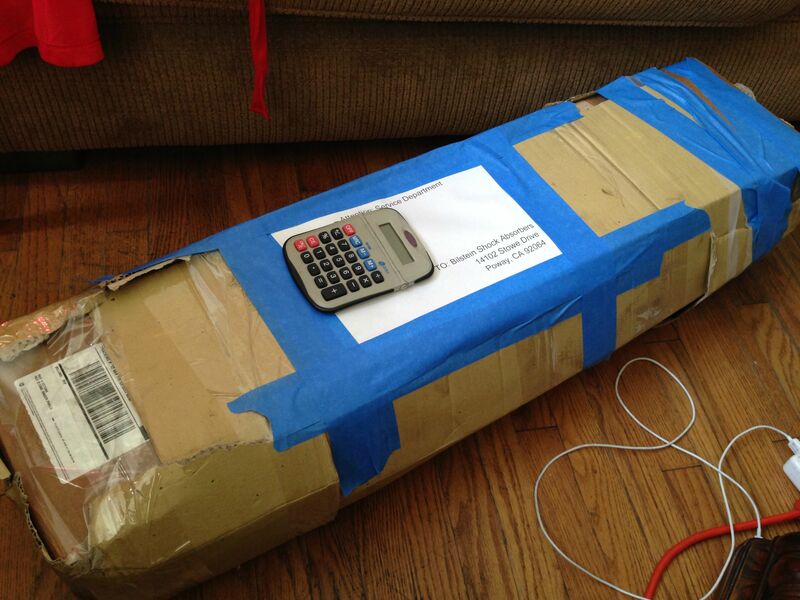 Once they receive the shocks, they may or may not give you a call, even though they should. This is why I called them myself and confirmed that they did receive the shocks. Once the shocks got in, I gave them another call to speak about specifications and whatnot. Their specialist in revalve services informed me that shocks will be set for Auto-X, and I told him that the car will be used for track instead. He then concluded that softer dampening and rebound would be more preferable. I was then informed that I'm the sixth person in line, and that the whole service may take at least a month. The shocks were mailed in on the 16th of June, the service was completed on the 17th of July, so the provided time window was spot on. Bilstein customer service is great. Most of my phone calls were received, and all of my questions were patiently answered. I bothered them quite a bit, and everyone was friendly enough to inform me that helping their customer is top priority. Their auto answer, however, is useless. You won't get a call back, so just call them in instead. This is a minor set back, but something to mention. Also, I have yet to receive requested dyno sheets. Bilstein informed me that shocks would arrive on either Monday or Tuesday. Not surprisingly, their timing was correct and shocks arrived as predicted. The boxes they used kind of made me feel like crap for sending them a homeless looking box. Overall, I was very satisfied with them as a company, some flaws here and there were expected. Not much of confusion here, in the box were shocks. To be precise, there were two boxes, one for the front shocks and one for the rear ones. Scuff marks were found on the ring holding the valving assembly (or whatever it is called) together. This was expected, and maybe even relieving considering the fact that that's what the shocks were sent in for. The shocks felt no different from stock, and looked like so as well (not a complaint). No set backs here either. Spring compressors were unnecessary for one reason or another, just one person pushing down on the spring while the other tightens the bolt on the top hat. Installation is much like that of any other spring on OEM shocks. This is what I was concerned most about, and I'm sure you are too. This will be split into two sections. I personally have had no personal experience with cheap coils, such as Megan, BC, or FA. 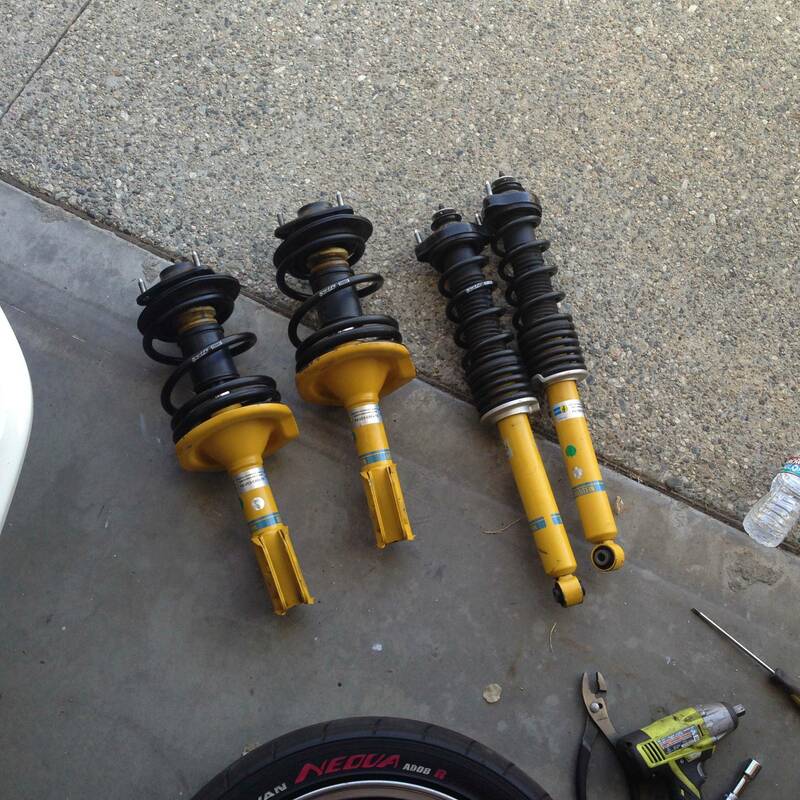 From what I can tell, those coils can't be more comfortable than these shocks, and they MAY perform as well or better. Essentially, if you purchase a GSR, it would make sense to go with the coils instead, as purchasing Bilsteins + Swift/GTWORX + Revalve will run you around 1450. This is around the same price you would pay for mid end Fortune Auto coils. With the fortune autos you also get controllable settings and from what I've heard you also get pretty good quality. Furthermore, you also get less weight- a lot less. To say that these Bilsteins are any sort of tough **** would be a lie- yes they are reliable, but they aren't adjustable. You're stuck with just one rebound setting- whatever you get from the factory- and if you want to change it, you'd have to send it in for a revalve service yet again. If you have an MR, then you'd be paying around 800 bucks for springs + revalve (tops). In that case, yes- absolutely go for the Bilstein revalve service. While you're not getting adjustability- you didn't pay that kind of money to get it to begin with, so nothing to fret about. Overall rating for GSRs would be not worth the money. Do not bother buying Bilsteins and getting them revalved if you have a GSR that came with KYBs. However, if you have an MR then by all means, the 485 dollar total (including shipping it back) is worth it. Great shocks, good value for the money for us MR folk, highly not suggested for GSR drivers. These shocks have more than proved worthy on the track, and even more so- suggested that they can break your back if you hit a pothole hard enough. It's interesting that he thought you wanted them for autocross at first. From what I remember of SCCA's stock classes, the cars stay stock but shocks are open (maybe front sway bar too? can't remember). So you end up with all these goofy shocks like all rebound and then racing on the bump stops. If that isn't practical the other thing that I suspect happens is a massive amount of damping to simulate harder springs. If he had that as a starting place for revalving yours, it's possible they are too hard for the track. Spending more time with two wheels off the ground might be a symptom of that. I've had spring/ shock combos, Tein SRCs, KW v3s and now JRZ RS. Every time I've stepped up in shock I noticed performance improvements but also they get better on the street. I think there is a wide spread misconception that quality suspension should feel harsh on the street. If your running really high spring rates than small bumps and cracks feel harsh when driving slow, but otherwise I've typically had minor adj between street and track. When I finally got my suspension setup dialed in I found it was extraordinarily comfortable on the street at anything but low speeds. A quality suspension setup interprets the road surface without impacting the chassis. Makes it very easy to drive fast and you fight the car less. 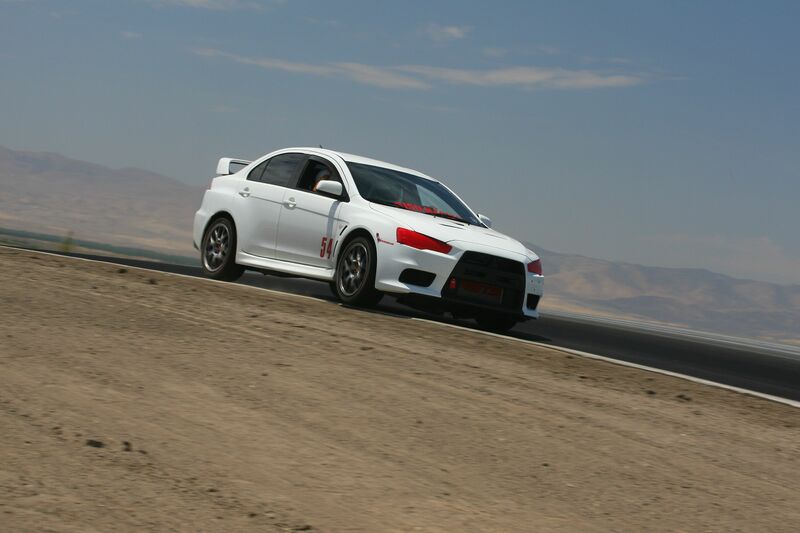 The shocks actually ended up settling after the first track day, not sure if that makes sense. Basically on the way to the track, the ride was far harsher than on the way back. Funny you mention that, because some of the best suspension set-ups are actually comfortable on the road too. That was the case with my friend's set of Ohlins at least, far better in the corners than anything else I've had, but also more comfortable than the stock X shocks. I'm curious about the revalving specifcs all you racers go through. You can't just say my car is a gsr used for road racing. More data must be given. What kind of data ars you guys giving and how involved are racers getting in the valving? Awwww man. I thought this thread was going to be about the inside workings of shock valving. Working with, and next to guys the did revalving. They seem to only care about. Vehicle weight, spring rate and travel. A note about Bilstein's. They are know for there "more compliant" street ride. Mostly because they don't valve for small movements, only large movement. The result is a smoother ride over small imperfections in the road. Last edited by Gian; 05-29-2016, 11:43 PM. That's not a Typo, I just can't spell no so well. I was hoping too! I made a custom suspension for a ferrari. Did moton doubles and new springs. I did the suspension math chassis frequency etc to come up with spring rates and weighed all the componants literally taking off and weighing suspension arms, wheels spindles etc. I gave everything to psi in sonoma and they revavled the shocks set canister pressure. Wow! The result was amazing. It was like magic. I would like to understand more about why you need all thos stuff and what revavle goals are. It seems like a black art. The black art in deed. I worked for Bruce Griggs for a short time. As well as Tri point (ProParts the Koni rebuild center for the west coast). Thought they guys would talk about what's needs to happen and or parts. No one would leak the "how it's accomplished" answer... lol. I've rebuilt a few of my own shocks (motorcycles mostly) and watched others do it. So I understand there is the main body of the valve it's self. With different sized holes for fluid to flow. And plate/washers of different thicknesses to control how fast it flows. Moving the wash stack and how many is how it's tuned. You can use the shock dyno to see the changes, but there is so much more. In the end, it's a calculated guess. Thus the black art. At Tri point one thing that use to freak me out was, the shock rebuild bench was behind a short wall just in front of the chassis dyno. Doing a 4th gear pull in a car with 400+ hp bouncing and struggling to jump from it's bindings while having a guy standing in front of you. Well let just say I had a few bad visions. I get the parts. That's easy. I can see dynoplots and what happens if a shim is replaced but it is the why of all this stuff that is a real puzzle. I wonder if I understood more about what goes into a shock if I could understand what I was really trying to achieve using the shock. I wish I could make a thread like that, sadly shock valving is like tuning carbs to me- I know just enough to do some serious damage, so I'd rather not mess with anything until I learn more. I think once you have access to a dyno and the time to make and see the results of the changes. It wouldn't be that difficult to chart what to do to get what you want. At that point, it's just having the understanding, talent and vision and to carry out the posses. And that just takes time. fatbillybob, I hear there is a big profit margin in making your own band of shocks. I see a new future for you! All times are GMT-8. This page was generated at 06:06 AM.